The final week of the Spring Term is here! To celebrate all our achievements we are holding 4 assemblies on Thursday. 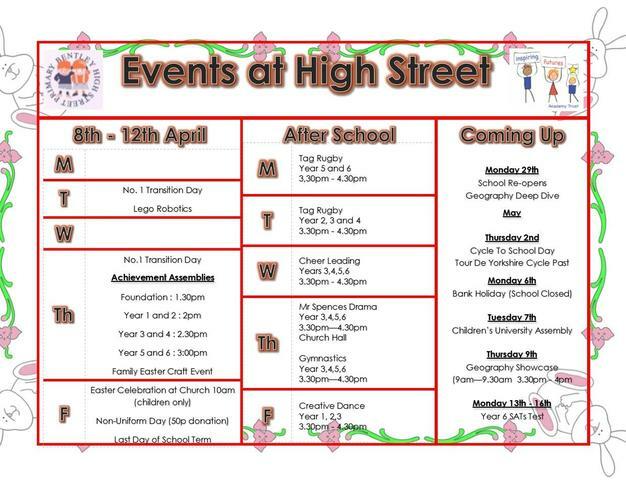 We also have a non-uniform day, a visit to church and a Family Craft Club. No.1 Transition - Children starting at Number 1 in the Summer continue their transition into Number 1. Lego Robotics - The Lego Robotics club also continues for Year 3,4,5 children. Our Achievement Assemblies celebrate the success of our children. 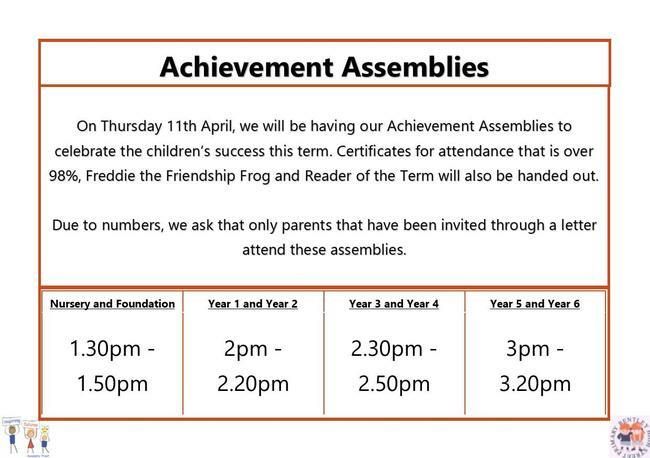 Any child who has got an attendance over 98% will receive a certificate, whilst the children will vote for Freddie the Friendship Frog, and the staff will vote on the Reader of the Term. We will also draw a winning name from the Attendance Raffle. School Closes on Friday at 3.30pm. All after school clubs will continue as normal. The school will be visiting St. Peter's Church to celebrate Easter. 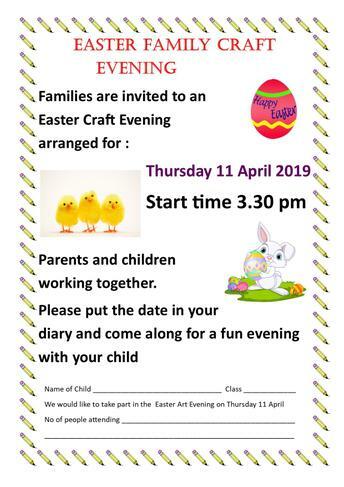 We will be singing songs and listening to Easter stories from Mrs Davey and Rev. Berry. 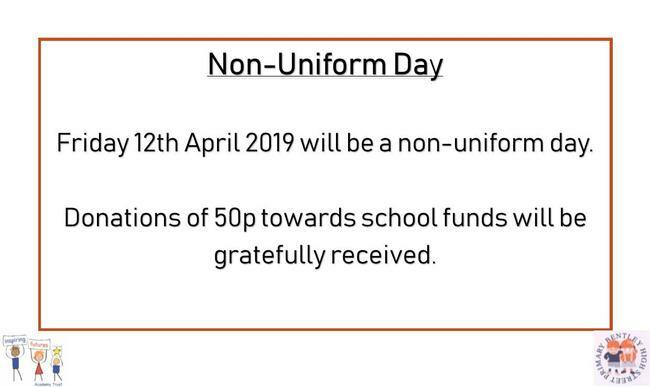 Children can come in Non-Uniform to school on the Friday. A donation of 50p towards school funds is gratefully received.